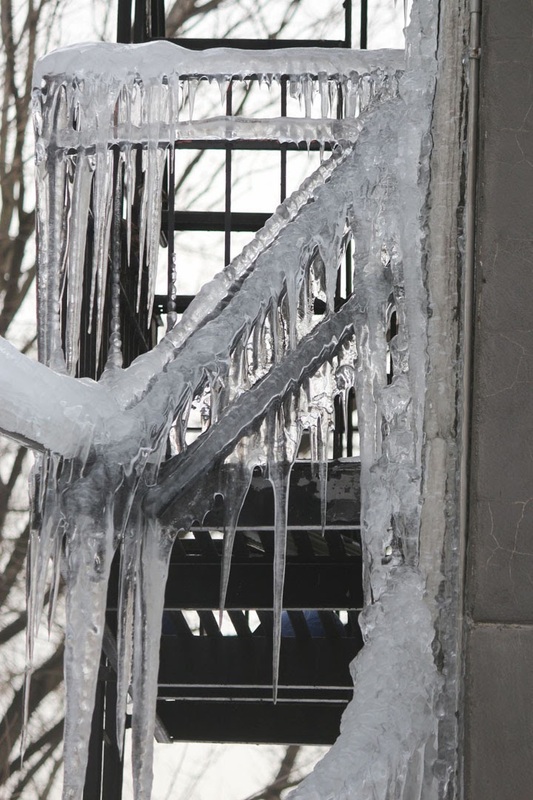 Fire escape icicles on 127th Street. Wow! Lovely picture, but it must be so cold.....I shiver just thinking about it.